Very Good. Cracking the AP Physics C Exam (Princeton Review: Cracking the AP Physics C Exam) by Review, Princeton, 2013-09-03. Trade paperback (US). Glued binding. 568 p. Contains: Illustrations, black & white. 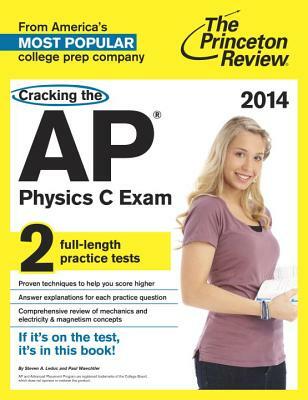 Princeton Review: Cracking the AP Physics C Exam. Good. [ No Hassle 30 Day Returns ] [ Edition: First ] Publisher: Princeton Review Pub Date: 9/3/2013 Binding: Paperback Pages: 592. Good. [ No Hassle 30 Day Returns ] [ Writing: SOME ] [ Edition: First ] Publisher: Princeton Review Pub Date: 9/3/2013 Binding: Paperback Pages: 592.